"There's the performance of McMorran, who creates eye contact with her puppet, as though providing a dialogue, and bringing forth a parallel or, in some instances, contrasting, inner emotional life. McMorran has a beautiful singing voice, especially in her spotlight song, "There's A Fine, Fine Line." She also creates a vibrant character voice for Kate Monster. Her facial expressions are delightful" - Paul Willistein, Bethlehem Press. Full review here. 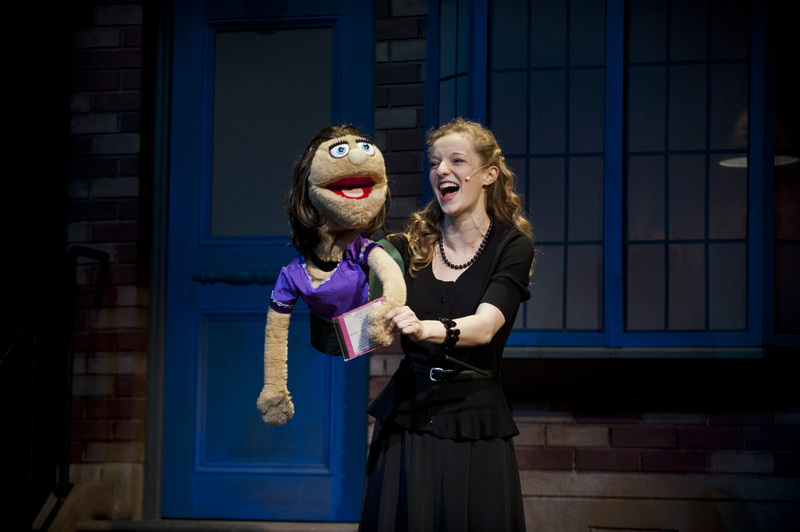 "Kate McMorran, who operates the puppet Kate Monster, perfectly captures the Muppet-esque quality of her character, who is eager and open, despite her disappointments" - Kathy Lauer-Williams, The Morning Call. Full review here.